A drivetrain is the mechanism through which power from the engine reaches the wheels. It is composed of a number of components which work together to deliver rotational power created by the engine to the tires. Its major components include the transmission or transaxle, drive shaft or half-shaft and differential. How Does The Drivetrain Work? 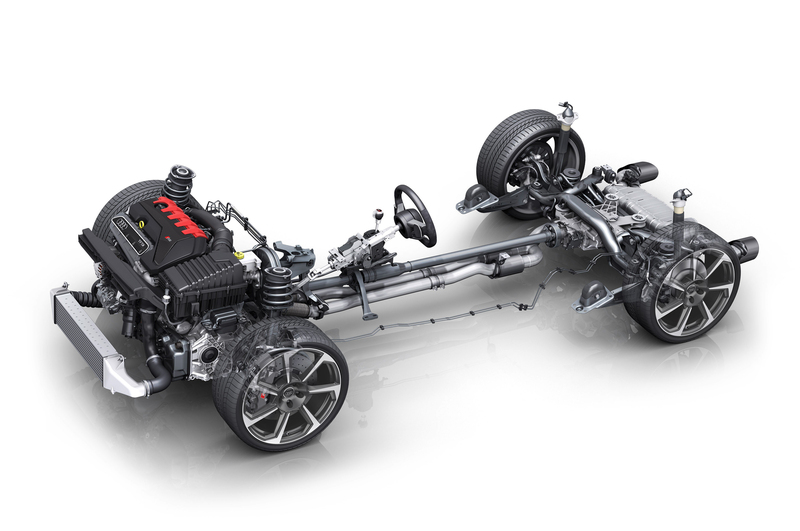 · Rear-Wheel Drivetrain: In this arrangement, theengine's power is delivered to the car's rear wheels. This is the most commonorientation used today on both cars and larger vehicles. It stands out due toits ability to deliver weight more equitably across tires, a big plus forsteering and handling. Braking is also delivered more efficiently in thisarrangement. In this configuration, the transmission carries the enginesspeed and connects it to a drive shaft. The drive shaft is a spinning tubewhich connects the transmission to the differential. The differential sitsbetween the two rear wheels. Its name comes from its function - it allows thewheels to spin at different speeds, which is particularly important whencornering. It also converts the direction of torque from the shaft before itgets into the tires. · Front-Wheel Drivetrain: While rear-wheel carsare pushed by its back wheels, front-drive cars are pulled by front ones.Instead of transferring power through the long drive shaft, torque from theengine is readily supplied to the front wheels. Fitting all the drivetraincomponents at the front of the car means engine orientation is also differentin front wheel cars. Front-wheel cars have components similar to those in rearwheel cars. However, instead of a transmission, these cars have transaxles(which combine transmission and axle functions). The long drive shaft is alsoreplaced with a half-shaft, a shorter version which performs the role of torquetransfer to the wheels. Like many other parts of the car, the drivetrain requiresfluid to function optimally. Automobile manufacturers recommend checking thisfluid every 15,000 miles. Replacement of this fluid and its accompanying filtershould occur at about 70,000 to 100,000 miles. Differential fluid should alsobe checked at about the same mileage. If your car has difficulty shifting gears, has a noisytransmission or emits a burning smell, that is an indication of a faultytransmission. Pops or clicks coming from the front wheels point towards worn joints. A fairly common issue with the drivetrain system istransmission fluid leaks. It is important to have your car checked immediatelyyou notice any fluid leak underneath your car. This will prevent more serious damageand costly repairs. Our highly trained team of car service technicians will bring years ofexperience in servicing car drivetrains to your vehicle. Contact us to schedulean appointment today and let us impress you with our quick, efficient, andaffordable drive train services.